But the thought of creating content whilst you away, supposedly relaxing, can be a daunting one. You don’t want the need for content to infringe on your holiday and take away from the authentic experience. Enjoy yourself and try not to be concerned with getting that shot in front of Eiffel Tower or not letting anyone else eat until you’ve taken 3578 shots of the food first. Creating content whilst travelling doesn’t mean you have to find the Instagrammable spots in the city and join the queue for a photo. Or take a backpack full of clothes with you to have an outfit change to match the location as you go. Don’t feel pressurised to share your day on Instagram Stories if you’d rather neck your third Aperol Spritz of the afternoon before trotting off in search of the regional wine. The importance of valuable content. The most valuable travel content is useful information. Share what you have actually learnt whilst exploring this new destination. Ask yourself a few questions about the things you were wondering before you visited and think about placing them into blog posts. How do you get from the airport? Where is the best area to stay and how affordable is it? Where is the best happy hour? What is the public transport like? What sights are a must and how did you go about getting tickets? What did you learn and how can that be transferred into content for your readers that is useful, interesting and fit into the stylistic tone of your blog? 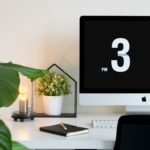 Sharing practical tips for destinations makes great cornerstone content and will attract readers of all shapes and sizes who are planning trips and who have never visited your blog before thanks to the useful and valuable information you are providing. Envision content after your trip, not before. When it comes to creating travel content for your blog, don’t go into your holiday with ideas for posts that you are going to come away with. 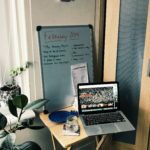 After doing a fair bit of travelling in 2018 [link to travel posts for 2018], I’ve learnt to just go with the flow when it comes to my time in a new place and then figure out what to write about when I get home when I have a better perspective. For some cities, I can do intensive guides with what to do and individual posts on specific points in the cities (such as reviews of walking tours or food guides) as I’ve done everything. If I’ve really explored that city, eaten somewhere different for every meal, tried lots of local delicacies, learnt lots, discovered hidden spots, navigated public transport; a compact and complete guide is on the cards. However, if you have a more relaxed holiday where you did less, ate at the same restaurant a few times, spent a day by the pool, then don’t feel pressured to create a ‘destination guide’. Opting for a more relaxed travel journal or sharing a photo diary means you can still share your holiday on your blog and you don’t need to feel the stress whilst travelling to ‘get the content’. Focus on enjoying your holiday, put your blog to the back of your mind if you can and think up content when you get back. It will be so much easier to brainstorm when you’ve had the experience and the photographs on hand to inspire you. Think about the things you need, the things you didn’t do (why didn’t you do them, perhaps you want to go back? there is a travel bucket list post forming! ), what you ate, your overall experience and personal anecdotes from your trip to help you brainstorm content. The trip planning is just as important. The actual planning of your trip also makes great content. Travel content doesn’t have to rely on the actual trip itself but information on how you planned it might be super useful to potential readers. 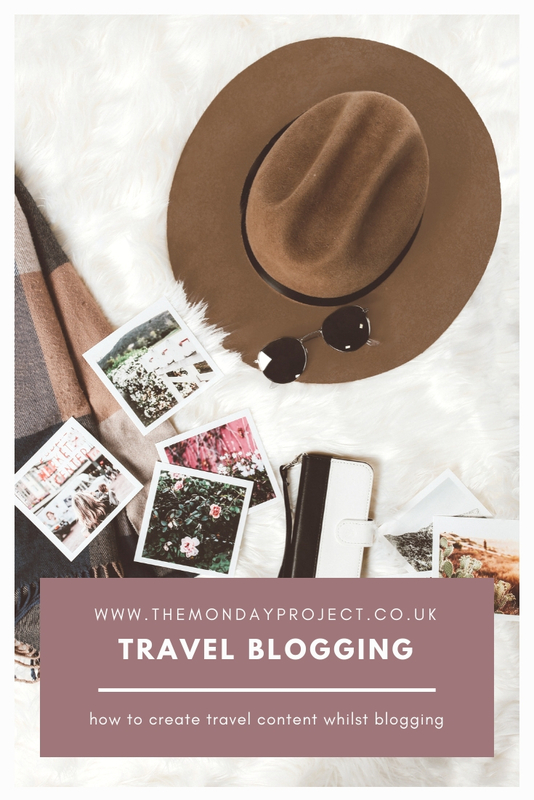 If you want to take a break from content creating whilst away and focus purely on your trip, it is a great way to anchor in your upcoming travel plans to your blog without actually blogging whilst travelling. I personally adore exploring somewhere new. I both love reading and creating travel content’ and redefining the relationship I have with creating myself has opened up a whole new way for me to create content. It is okay not to share everything whilst you are there, it is okay to share everything whilst you are there. There is no right and wrong way to do it but it is about finding the right balance for you – and your travel companions. Create content you love by enjoying the holiday you want and worry about everything else later. The ideas will come and you’ll have around ten content ideas floating around your head to type up on your phone notes on the flight tour. Photo by Clarisse Meyer on Unsplash. Previous Post 11 things I’m watching to get me through the depths of a Scottish winter. Next Post Balancing blogging & university.